In the United States, approximately 75% of young children participate in a preschool program. While there are several different types of preprimary educational facilities, many parents are interested in enrolling their children in academic preschool programs to promote a higher level of learning from an early age. While we certainly believe in the effectiveness of the academic preschool curriculum, it’s important to note that the preschool games and fun activities your child participates in are often just as valuable for their learning. Even if you already know the differences between academic vs play-based preschools, you might want to take a closer look at what’s known as “structured play” and why it has a place in all kinds of preschool classrooms. Structured play is sometimes known as “play with a purpose.” This method uses fun preschool games, sports, and other activities to teach a learning objective and help young participants develop certain skills or understand specific concepts. These preschool games and other forms of play are led by teachers (or sometimes by parents, in a home setting), who help the children meet their goals and/or further understand the learning objective. Structured play is not necessarily formal or extremely organized; activities in this category may include puzzles, board games, music classes, organized sports, or even folding clothes. What Are the Benefits of Structured Play? 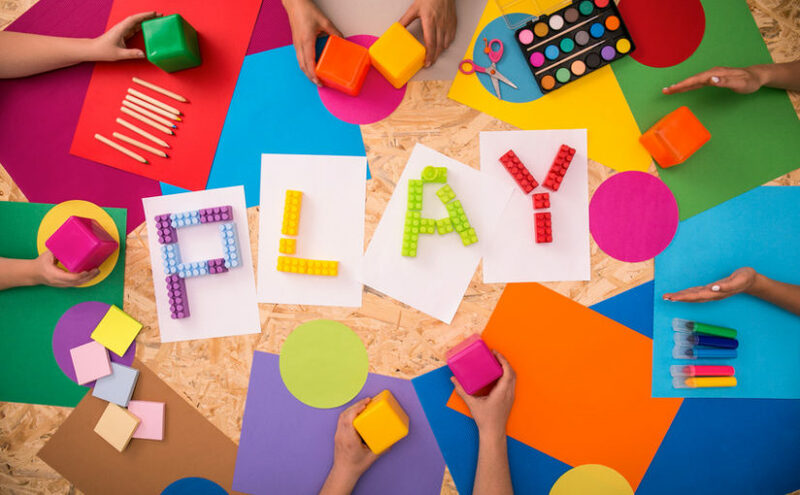 Although you might assume that the only object of preschool games is to have fun, structured play can actually foster ample opportunities for your child to learn and develop their skills and their personality. Here are just a few benefits of having structured play built into the preschool curriculum. Physical Development: Through structured play, your child will likely develop their fine motor skills and coordination. Preschool Swimming lessons, soccer, or even a round of catch can help your child to become better coordinated and develop an early love for physical fitness. Listening Skills: Preschool games like “Simon Says,” “Duck, Duck, Goose,” and “Follow the Leader” can all foster coordination and fine motor skills. They can also help your child develop their listening skills. By learning that following directions will allow them to fare better in the game, your child will come to connect this philosophy to other areas of their life. Social Interaction: In a conventional classroom setting, children may not always have an opportunity to form individual bonds with their teachers or even with other students. Structured play allows for social interaction in the name of learning. By promoting the importance of communication and personal expression early on, your child will value these interactions throughout their life. Self-Confidence: Your child will learn the value of becoming more independent and more self-assured through structured play. That’s because structured play promotes creative problem-solving and critical thinking. By mastering the goals set forth by a given activity or game, your child will feel a sense of accomplishment they can carry through to other disciplines. Looking for a good preschool can be difficult, especially when finding a preschool that offers both an academic-based curriculum and structured play can be hard to find. However, through these kinds of varied activities, your child will continue to learn and grow in all sorts of ways.